With such a diverse range of things to do and see plus places to stay, Wyoming is an ideal destination for a vacation, business trip, or wedding. There are numerous options, meaning you can stay in a one-of-a-kind hotel or national chain. Have your celebration outdoors at a national park, at a ranch, or in a more typical convention center. 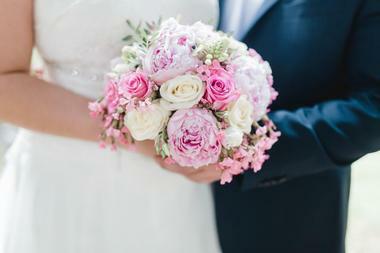 No matter which part of the state you are in, you will find a long list of wedding venues as well as hotels just waiting for you to rent a room or an event space. You simply need to pick the type of atmosphere you prefer and which amenities you need, then select the location that matches your desires. Spring Creek Ranch provides luxurious lodging on a wildlife sanctuary sitting nearly 1,000 feet above Jackson, delivering amazing views of Grand Teton and the rest of the mountain range. Inn rooms are divided among nine rustic cabins that each have four deluxe rooms with balconies. All rooms have wood-burning fireplaces, coffeemakers, fridges, wireless internet, cable TV, HBO, and your choice of two queen or one king bed. Townhomes and Mountain Villas offer additional privacy and the comforts of home like living rooms with fireplaces. The Mountain Villas are the most spacious options with four beds and baths. The size of the property gives guests plenty to explore and do, with even more in the immediate vicinity. Head to Yellowstone or Grand Teton National Parks, fly fish on the Snake River, go white water rafting, or simply enjoy the outdoors. 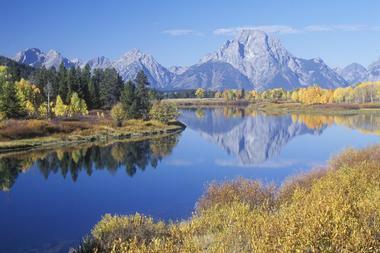 Because it sits on a wildlife refuge, you will find mule deer, elk, and moose roaming the land. Don’t forget to relax at the Wilderness Adventure Spa as well. Other property amenities include a fitness room, two tennis courts, saltwater hot tubs, a seasonal outdoor heated pool, and an Equestrian Center. Get a meal at the Granary Restaurant, which is conveniently located near all accommodations. The Parkway Plaza Hotel & Convention Center has 301 guestrooms and is in the heart of Casper for easy access to attractions. Every guestroom in the Modern Rustic Craftsman building has new ergonomic desk chairs, flat-screen LED HDTVs, microwaves, fridges, complimentary wireless internet, and new triple sheeting with duvets. Opt for one of the 93 Executive guest rooms with new pillow top mattresses and 40-inch flat-screen HDTVs. There are also 11 one-bedroom suites, two Jacuzzi suites, and 17 Jr. Suites. Other room amenities include air conditioning, black out curtains, granite counter tops, hair dryers, and irons. For convenience, the hotel has free parking and offers a free airport shuttle. The property has 21 acres of land along with multiple spaces for meetings and events. This vast space also includes a recreation center with a long list of outdoor activities and miniature golf. Enjoy a meal at Parkway Café, the on-site restaurant, or head to the lounge, All That Jazz, both of which feature American cuisine. The first of these has a French country ambience and popular Sunday brunch, although it is open every day for each meal. The latter hosts DJs and live bands on weekends along with karaoke and crafted cocktails. The National Museum of Wildlife Art, which sits on a gorgeous cliff that overlooks the National Elk Refuge, takes its inspiration from Scotland’s Slains Castle. The setting delivers plenty of natural beauty, and you can choose from indoor and outdoor venues for the wedding. The Johnson Hall Event Space, a lobby with 4,900 square feet and room for 500 standing or 130 seated, offers an opening out into the Sculpture Trail Terrace. The Members’ Lounge is ideal for more intimate events with its 910 square feet and space for 42 seated guests. Or opt for the Sculpture Trail Terrace with its 2,000 square feet. The events coordinator has decades of experience plus long-standing relationships with area vendors. Enjoy catering from the on-site Palate Restaurant without any hassle. Amangani sits along the crest of the East Gros Ventre Butte with views of the Teton Mountain Range and Jackson Hole. 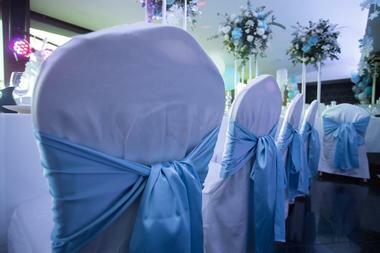 You can have any type of wedding ceremony here, from a grand affair to an intimate event. 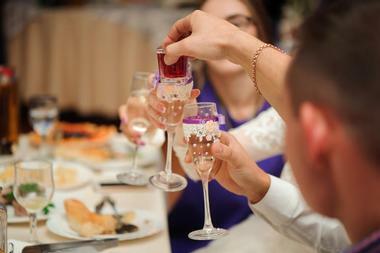 The venue can also host celebrations before and after the main event, such as a cocktail party, lunch, intimate family meal, or lavish banquet. There are multiple venues across the property, and you also have the option of going with an outdoor location. The property has a dedicated team to help you select and arrange the venue, create the menu, and hire teams for photos, videos, makeup, hair, and entertainment. The Barn in Big Horn is a venue that appears exactly as described – it’s a gorgeous barn located in Big Horn that is perfect for weddings. The Big Horn Mountains create a stunning backdrop, and you have the added convenience of easy access to downtown as well. There is also a commercial kitchen on site that you can rent to make it easier to prepare for your wedding. 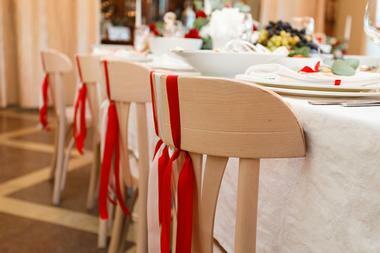 The staff will work with you to design the ideal event, right down to the last detail. The Barn itself offers a memorable 19th-century setting for photos, and it looks very much like it did when it was first built. It has been restored with modern conveniences along with enhanced rustic décor. Last but not least, you and your party will love the outdoor patio or 15,000 square feet of lawn. Deerwood Ranch sits at the base of the gorgeous Snowy Range Mountains along Middle Fork River, where you might see wild horses roaming the seas of grass. This working family ranch is the perfect venue for a wedding, which you can have inside or outside, including the option of the barn venue. Weddings include the rehearsal, reception, and ceremony, plus restrooms, a kitchen, a bridal suite featuring a full bathroom, and space for up to 150 people. You can also choose to stay in the guest cabin along the river and go on a hayride tour on the night of the rehearsal to see the Deerwood Wild Horse EcoSanctuary. The focal point of Diamond Cross Ranch is the big red barn situated on 14,000 square feet. 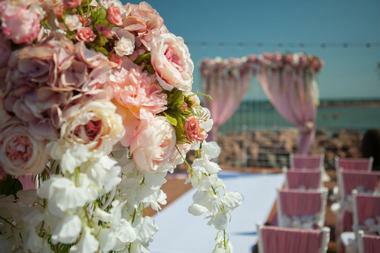 Understandably, it can accommodate weddings of nearly any size, from 25 up to 750. 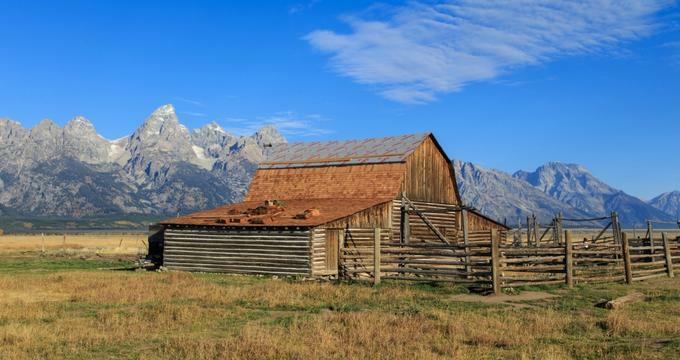 This is a privately-held and working ranch that has been around for decades and delivers views of the famous Grand Teton. Its borders feature the Teton National Forest and Grand Teton National Park so you are guaranteed amazing views during the wedding and festivities. The property has a dance floor, a stage for your live music, a full sound system, and a large outdoor terrace. The venue even has permits for all the extras you could want, from a large tent to a helicopter arrival. The Four Seasons Resort and Residences is surrounded by views of the Grand Teton Mountain Range with plenty of wildlife around. You won’t be completely cut off from modern technology, however – the property has complimentary standard Wi-Fi allowing you to remain connected at all times. There are a total of 124 guest rooms and suites plus 34 private residences. Accommodations have finishes like natural stone and dark wood plus leather insets, gas fireplaces, and residential-style furnishings. Most rooms have private terraces or balconies complete with teak chairs and tables. Rooms also have large TVs, DVD players, three or more telephones, full fridges, and work areas. The private bathrooms feature luxurious Cache Creek Apothecary amenities. The property offers an incredible range of activities, including biking, rafting, skiing, snowboarding, orienteering, mountaineering, and hiking. There is also a new Sweetwater Gondola. Go for a swim in the outdoor pool or get in your workout using the fitness facilities. Alternatively, you can relax in the spa with its 16 treatment rooms where you can unwind at the end of a day filled with activities. If the weather turns sour, head to the games room. Stay connected with the 24-hour business services. The property has three restaurants along with one lounge, and they offer enjoy 24-hour In-Room Dining. Set within Grand Teton National Park, Jackson Lake Lodge is a popular wedding venue with a range of options, not least of which is the stunning backdrop of the Grand Teton Mountains. Don’t worry about the risk involved with outdoor weddings – the lodge’s upper lobby serves as a back-up location in case of poor weather. You have several venue options for your reception. The East Mural Room is good for groups of 50 or less with its semi-private feel, murals, and mountain views. Larger groups will love the Explorers Ballroom with its elk-antler chandeliers, dance floor, and Sunset Terrace, which also boasts a vista of the mountains. The lodge has its own culinary experts on staff so there is no need to hire caterers. 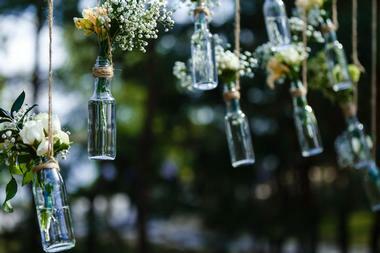 They also offer wedding packages designed to make planning more convenient. 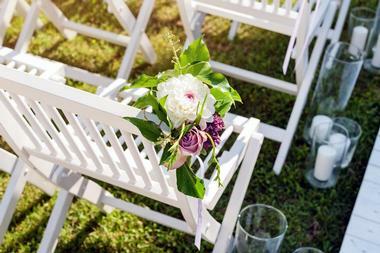 The Half Moon Lake Lodge offers gorgeous outdoor weddings, complete with both a lodge and a gazebo area. The gazebo sits in the middle of a stand of aspen by the pond and has enough space for all the guests, while the patio has amazing views of Half Moon Lake. 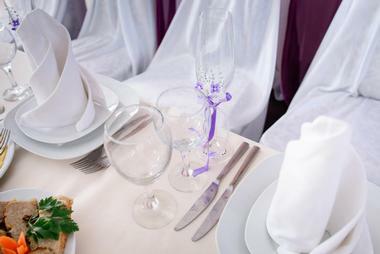 The team at the venue works with you to deliver the perfect wedding day with a catering and beverage package. If you stay at the Lodge before or after your wedding, enjoy activities like hiking, horseback riding, fishing, and hunting. The property’s cabins look out onto the lake and have modern bathrooms, coffee pots, fridges, microwaves, and outdoor decks. 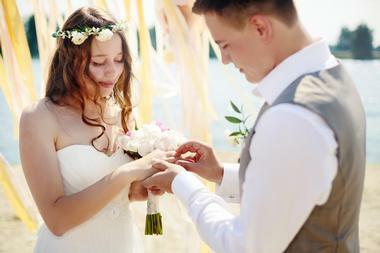 The Hotel Terra Jackson Hole sits in the foothills of the Tetons and has a dedicated team who can help you craft your ideal wedding, no matter your chosen time of year or the size of the event. The Albright Room is a popular venue for intimate affairs with its stylish finishes and grand picture windows. It is also great for cocktails during the evening. The Murie Ballroom, on the other hand, boasts 2,885 square feet, glass French doors, a patio with amazing views, sky-high ceilings, modern chandeliers, and stone fireplace. Another option is the Murie Ballroom Patio, which can accommodate up to 40 seated guests. 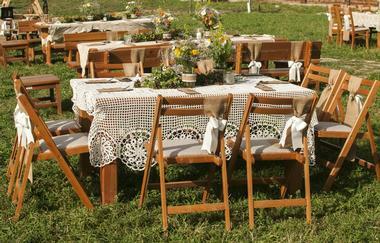 In addition to being a charming bed and breakfast with plenty of character, K3 Guest Ranch also hosts wedding. They offer a number of wedding packages with options for the ceremony to be indoors or outdoors and enough lodging to accommodate your entire wedding party. The 33-acre property is just minutes away from downtown Cody and has small game, birds, deer, and antelope on the land plus two well-trained ranch horses who can perform tricks. 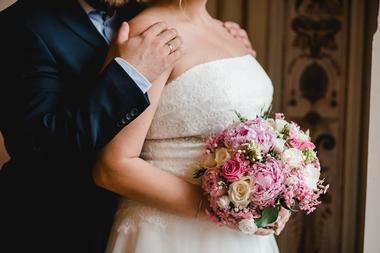 Those who choose to stay at the lodge before or after their wedding will get air conditioning, ceiling fans, hair dryers, private baths, and alarm clocks with CD players. The property itself has even more, including board games, a library, and wireless internet. 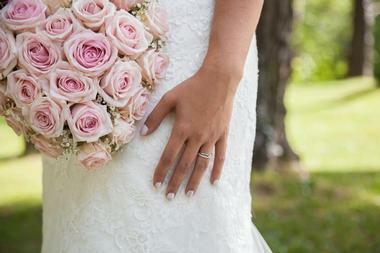 The Little America Hotel & Resort hosts elegant weddings in addition to providing luxurious accommodations for guests. 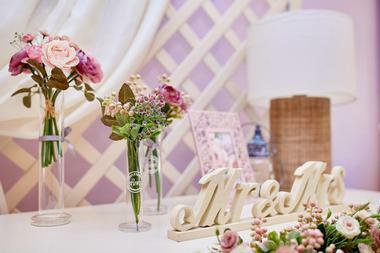 There are spaces perfect for every part of the wedding, from the bridal shower and rehearsal dinner to the ceremony and reception. The creative chefs help you craft an unforgettable menu while their attentive staff members ensure the evening goes off without a hitch. 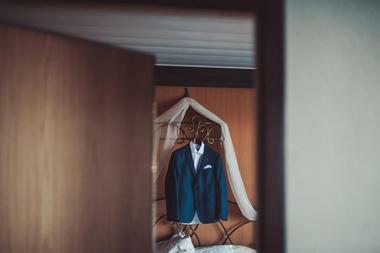 The groomsmen will enjoy getting in a round of golf before the big day while the bridesmaids can prepare and gossip with the bride in the bridal suite. Your guests will have multiple room types to choose from, all of which have imported English wool carpeting and European furniture. A national forest and plenty of picturesque wilderness surround Moose Creek Ranch, and the body of water from which the ranch gets its name runs right through it. There are multiple lodging options, including Rendezvous Cabins with modern conveniences and a luxury feel ideal for couples. The Twin Cabins are great for up to four people with a full bathroom, full kitchen, queen bed, and full-size leather sofa bed. Big groups will want to consider renting the Ranch House with space for as many as 12 people. It has three bathrooms, five bedrooms, a dining room, a full kitchen, two living rooms, and a private secluded picnic area along the Creek. You can also opt for a luxurious Glamping Cabin with a creek-side location, four-poster queen log bed, personal wood stove, and outdoor fireplace. Some accommodations can also include soaking tubs, ADA compliance, sitting porches, BBQ grills, flat-screen TVs with DVD players, and laundry rooms. Guests of all ages will find plenty to do at the ranch and nearby. Play volleyball or horseshoes, go hiking, mountain biking, cross-country skiing, or snowshoeing. When you want to be inside, you can check out the Ranch Lodge with its pool table, large screen TV, cozy fire, and free wireless internet. The large grassy lawns are perfect for playing outdoors. The property also has an ice machine and guest laundry. It is pet-friendly for a small fee. 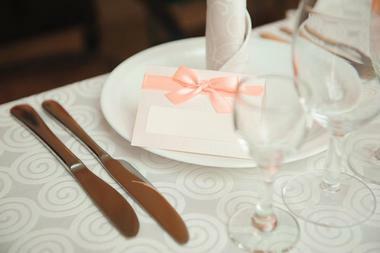 In addition to serving delicious meals, the Open Range Steakhouse is happy to host events like weddings. They have plenty of space for your reception and will provide you with a tasty dinner. They also offer catering on a limited basis if you prefer to have the reception somewhere else. Their regular menu has choices like multiple steaks that include filet mignon and New York strip, chicken-fried steak, grilled swordfish, lobster, seafood, salads, appetizers, and more. They will work with you to create the menu you want for your wedding and will serve the reception meal in a western-style atmosphere that you and your guests will love. The Platte Valley Community Center has a range of spaces that can accommodate large weddings or smaller, intimate affairs. The Great Hall has space for 305 guests and is connected to the full-service commercial kitchen, a feature your catering team will appreciate. The Great Hall also has a fantastic sound system, along with a portable stage and wireless microphones. There is the option to separate the space into three sections. The West Lobby has floor-to-ceiling windows and sparkling chandeliers while the Main Lobby has a large stone fireplace and West Patio access. That patio has a sheltered area so you can enjoy the fresh air in any kind of weather. The Rancho Alegre Lodge becomes a second home during your rental and wedding, allowing you to welcome guests to a spacious and comfortable home. Use the lodge as a gathering spot before and after activities – there is enough space on site for your rehearsal dinner, cocktail reception, wedding ceremony, and reception. 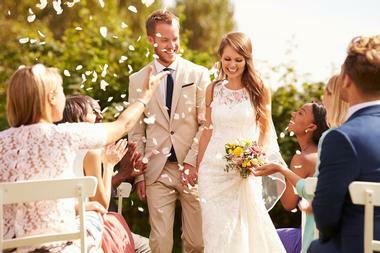 Weddings with more than 50 people must include outdoor use, and you can get a tent with space for up to 200. The property has 360-degree views of Teton Valley’s beauty and the surrounding mountains, perfect for photos and wowing your guests. The vacation home itself is 10,000 square feet and the property has seven acres, including a hot tub and multiple fireplaces. Red Butte Ranch and Lodge sits surrounded by trees on the banks of the North Platte River, which is close to the base of the gorgeous Bessemer Mountain. Should you choose to have your event here, you will see absolutely beautiful views of this red rock formation. You can choose to stay in the private cottage with room for six or the vacation rental with room for 12. Both options give you amenities such as large sitting rooms, fully equipped kitchens, and multiple bathrooms along with a massive wraparound deck to relax. Those in smaller groups or those who want the bed and breakfast option can stay in the main house, which offers your choice of a room with a queen and a single or one with two twin beds. Both share a guest bathroom. There is free wireless internet and dogs as well as horses are welcome. The lodge offers fishing along with fly fishing shuttle service. Or just relax and enjoy the property while you watch the wildlife roam by. Just a short walk from the lodgings, you can find an Oregon Trail historic marker, which was where the first cabin belonging to a white man in Wyoming was built in 1812. Those who stay in the main building get to begin the day with an included breakfast. The Snow King Resort has all the amenities you want in a resort along with an ideal wedding venue. There are multiple venues to choose from, including the Fireside Room with its intimate setting or the large and elegant Grand Teton Ballroom that can accommodate 350 guests for dinner. The latter has more than 5,000 square feet, panoramic windows, and a built-in sound system. Following your wedding, enjoy a chairlift ride going up Snow King Mountain to enjoy the best views with your new spouse. 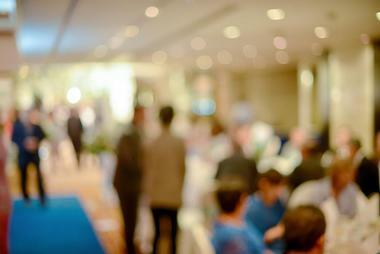 The venues are flexible, and the team has professional expertise to help you plan the perfect event. 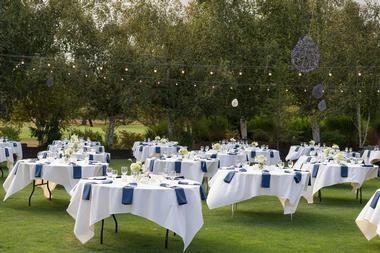 Teton Pines Country Club delivers a beautiful, tranquil atmosphere for your wedding. The staff at the country club can help you plan your dream wedding against the backdrop of the majestic Teton Mountain Range. They also specialize in delivering elegant rehearsal dinners, flawless receptions, customized banquets, and complete coordination for wedding events. The Pines Restaurant and seasonal outdoor terrace have 3,000 square feet for your event with as many as 145 people. You can also use the open air club house for cocktails, appetizers, or a dance floor. 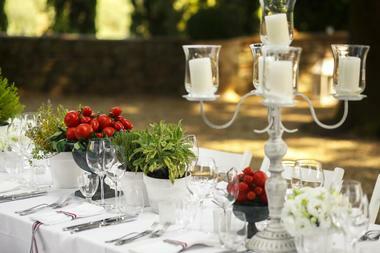 There is also the option of outdoor ceremonies and receptions with unforgettable scenery. The Molesworth House, located within historic downtown Cody, is ideal for smaller indoor weddings any time of the year indoors or outdoor weddings in the summer. The venue can provide your officiant if you have need, and they can also assist with helping you book live music for your event. The property also has a full kitchen, a porch with patio, a fire pit, a TV, wireless internet, a BBQ grill, and everything else you need to make sure your wedding goes off without a hitch. Your guests can even walk to the venue from their downtown hotel. The Wolcott Galleria was built in 1952 and has three gorgeous event rooms, including an intimate room for receptions, a historic theater, and an elegant ballroom. The property offers state of the art amenities without sacrificing its historic significance, making it ideal for weddings. 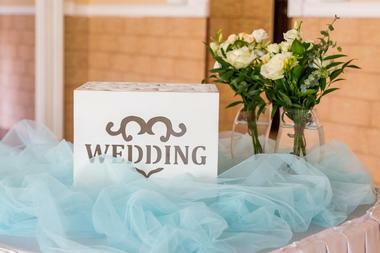 There are also conveniently located retail businesses on the property that can help with your big day. The venue’s experienced event coordinator can ensure planning goes perfectly, and the team will be on-site during the event so you don’t have to worry about anything. 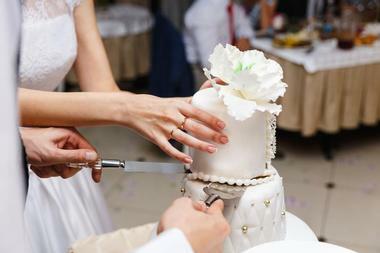 They can help you find a caterer, or you can choose one of your own. 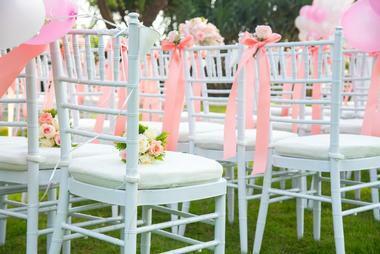 The venue provides the chairs, linens, and tables for your wedding. Trail Creek Ranch is situated on 270 acres of scenic protected land, yet it is still only minutes from Jackson and all the city’s amenities. All accommodations have porches and amazing views so you can enjoy the mountain air. They also have private baths and unique personalities with cotton sheets, down comforters, and vintage wool blankets. Choose a cabin by wildflower fields or aspen trees with a view of the Sleeping Indian on the Gros Ventre mountain range, hay fields, or the barn. The rooms don’t have televisions so you can more easily connect with nature. Depending on your chosen room, it can accommodate two, three, or four guests. Watch the ranch’s horses graze around the property of this working ranch, which is also the perfect starting point for outdoor adventures such as mountain biking, fly fishing, climbing, hiking, or just sightseeing in Jackson. The property also has wireless internet and a heated swimming pool for guests to enjoy. The Wyoming Hereford Ranch has been around since 1883, and from the start, it has been a major supplier of registered Hereford cattle. This location is perfect for a unique wedding venue with amazing scenery. You can have the reception in the Sale Barn, where you will enjoy the rustic décor as well as the small dance floor. Or rent the Horse Barn with its massive loft for groups of under 100, but keep in mind there aren’t bathrooms there. The large indoor arena space has a serving area, kitchen, space for several hundred, and a basketball court. 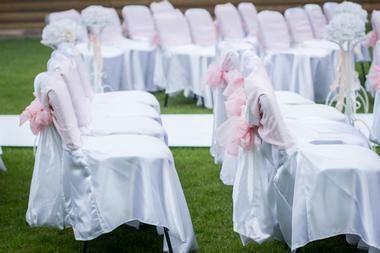 The venue hosts outdoor ceremonies next to the barns with views of Crow Creek and willow trees. The Wyoming High Country Lodge makes your special day truly special with a surreal setting and plenty of options for your ceremony and reception. There is even enough accommodation on site for your wedding guests so no one needs to find somewhere else to stay unless they choose to. The venue prepares meals on site via their full service restaurant, and they can customize the menu based on your budget and tastes. If you want, you can reserve the entire lodge facility so everyone on-site will be there for your wedding. Guests will enjoy the great room, dining area, and broad covered porch, all of which can host your wedding if rain comes.